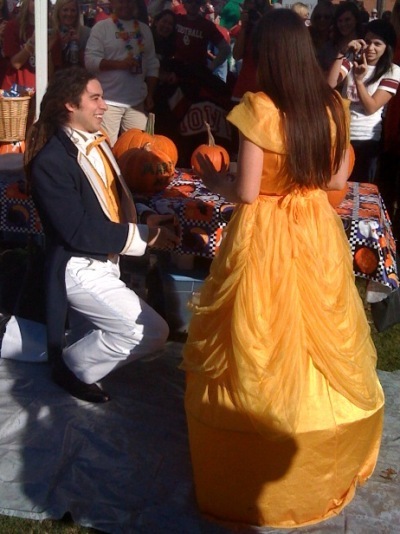 One of my favorite American Idol alums got down on one knee and proposed marriage on Halloween. What a gentleman! David Archuleta knows how to propose! The report also said the pair dressed as “Beauty and the Beast,” but he doesn’t look like a beast to me! I wish Jason and Mandy a very happy life together. Jason was one of my favorites also and congrats to him and Mandy. I recently saw Jason on his mall tour and he really did a great job with his new songs and a couple of his favorites from idol. He is a real sweetie also. It’s too bad he and David don’t get to hang out more often.